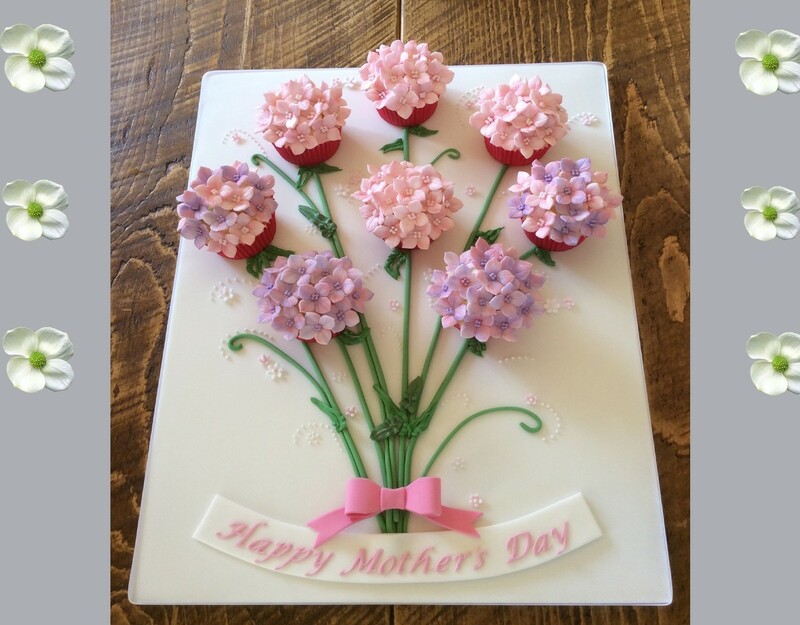 Ideas for Mother's Day order cakes online for local delivery! For New Dads - you have a NEW MUM! Recently chatting in the office we realised that our new Dads, weren't quite as prepared for the New Mothers Day in their lives! These new dads have all previously quite happily bought their mums gifts throughout the years- whether flowers, chocolates or cakes- they have always surprised their mums with a thoughtful gift.- often quite last minute if they're honest! BUT this year the dynamics have changed and as a New Dad they need to consider their NEW MUM as the little one can't do it for themselves! So what do you get for a mum on Mothers day, as we started to discuss all the ideas that are likely to be enjoyed by mums across the world. As a New Mum the gift is often a token of their love and a little thought goes a long way- you don't need expensive gifts, but thoughtful ones- We looked at ideas of creating cards using 'thumb prints' recording the 'babbling noise' a 'Birth Stone'. Often it's the demonstrative gestures that will be best received. 'A Lie In', 'lunch made', Breakfast in bed, A suggestion of a walk together instigated by your partner, 'ironing completed' a task that has been 'nagged' about just being done...these gestures going a long way to showing thoughtfulness and care to a mother. Will you be away from your Mum This year? Many of us will spend Mothers Day away from our mums, and the idea of a gift is harder to change year after year. The same flowers, the same card, or the last minute Amazon prime can always help us out. But have you considered with a little notice having gifts delivered for Mother's Day, that might actually be a surprise, enjoyed and devoured! This year why not treat mum and have her gifts delivered in the UK and make that gift special to her? Mums Bake Cakes is the ONLY national company where you can order cakes online and the cakes will be delivered by hand from the baker that made them! Have you considered having cupcakes delivered to your Mum, where she can share with family or carers and enjoy Mothers Day for days to come. All the cakes delivered include an ingredients card and a message card where the bakers will write your message on the card for your mum. As the cakes are created fresh from the orders received, they can be personalised to your mums favourite colours, include your mums favourite flower or why not have some tasty flowers in the form of a cupcake bouquet? Many of the cakes can be created to cater for all allergens whether Eggless cakes, Vegetarian cakes, Vegan Cakes, Gluten Free cakes, Coeliac cakes, Dairy Free cakes, Lactose intolerant cakes, and Halal Cakes- depending on the area our specialist bakers can adapt recipes to cater for intolerances and allergies. Please do just ask. But what choices are available? Yes, when checking out please add your mums favourite colour, favourite flavour and wherever possible the bakers will adapt the design to suit your colour scheme and adapt the flavour.- a baker will always contact you if there is a query. If you wanted something special on the cake ( a personalised figure and photo etc.) please email ask@mumsbakecakes.co.uk and we can check whether there will be any additional charges before you order cakes online. What cake ideas are there ? There is such a wide variety even our bakers can't load all the choices and they have loaded just a small selection available. We have listed some designs below but the list is endless! and many of the bakers can create amazing designs just from your imagination! Cupcakes - batches of 6, 12, 18 or 24 cupcakes or more. Every Day cakes - such as Lemon drizzle, chocolate cake. How do the cakes gets delivered? The Mums Bake Cakes bakers all deliver in their own 5-10 mile radius and therefore are aware of their local environment and areas , delivering all cakes within a hygienic box, and each cake is delivered with an ingredients card which lists the ingredients in the cakes and will also carry a personal message from the person who ordered it. All bakers are fully registered with their local environmental health teams and this has been checked by the team at Mums Bake Cakes, all bakers are fully insured and therefore ensuring they comply with all UK health and hygiene Laws. So, fancy being different on Mothers Day this year? Want a truly unique gift that will make your mum smile!